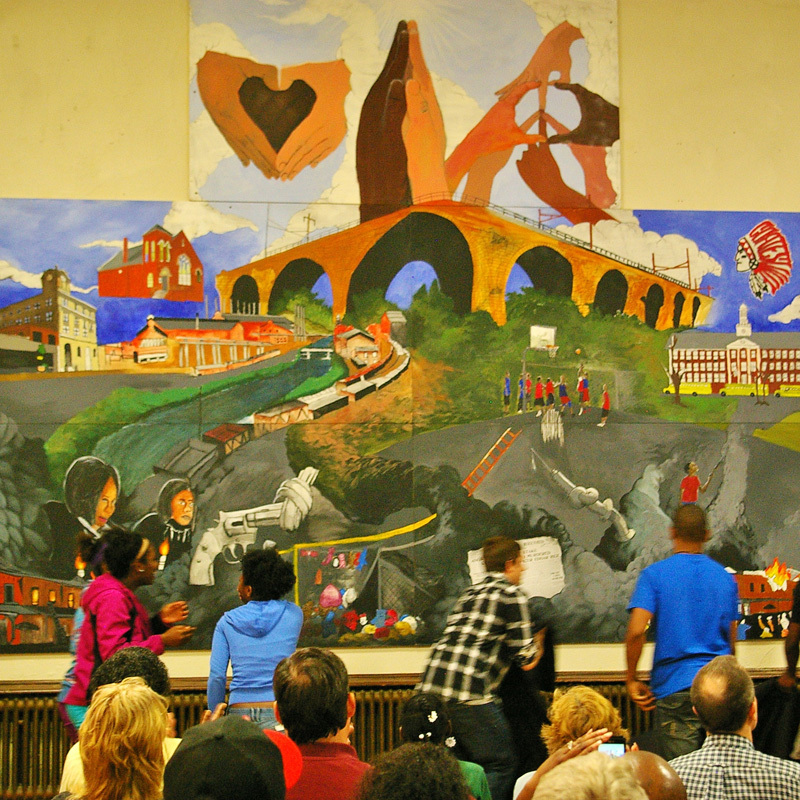 Bridge Academy students show off their mural at June’s unveiling. The mural was recognized Thursday night as a piece that has had a positive effect on the community. MALVERN – Art has the power to change. The students of the Bridge Academy learned this in creating their Darkness to Light mural, which was unveiled in June, and the lesson was further reinforced when the mural was displayed at Penn State’s Great Valley campus on Thursday night as the centerpiece to the university’s Public Stories presentation. The Bridge Academy students, who were sponsored by the Art Partners Studio and the Community Center in Coatesville, attended dinner and a reception for their piece at the Malvern site and received a proclamation from State Senator Andy Dinniman. The reception was followed by a presentation from Jane Golden, Executive Director of the Mural Arts Program in Philadelphia. The program, which has worked with children, prisoners, and world-renowned artists to create 3,800 pieces since 1984, has proven the difference that art can make in a community. However, social change did not just come from the end product of having a mural in the community. Much like the efforts of the Bridge Academy, Golden said that the process of creating the art brings people together and gives a creative outlet for people whose talents often go unrecognized. 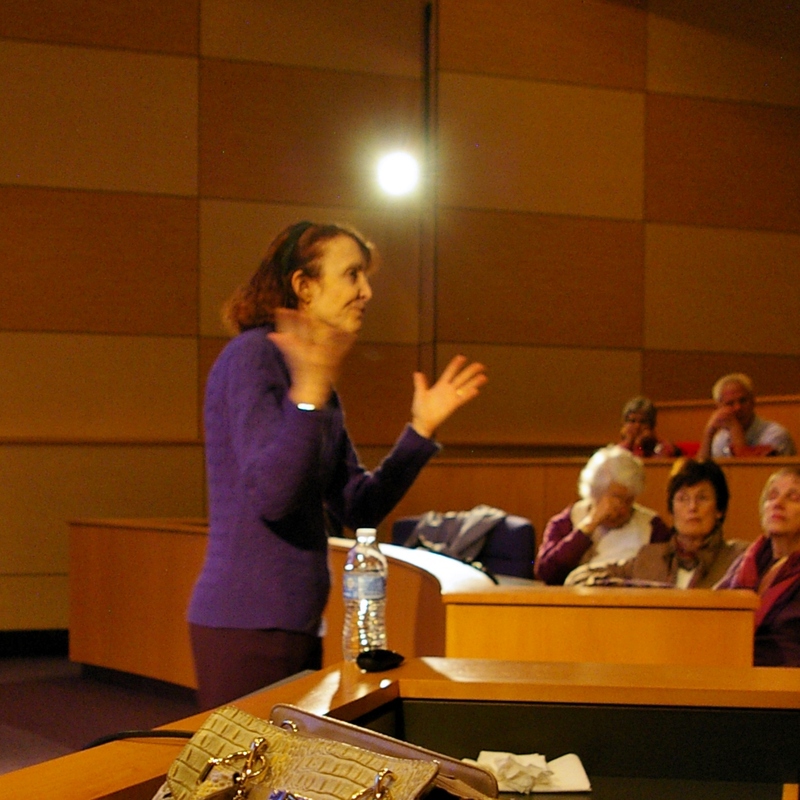 Jane Golden shares horror and success stories of how art can change a community. “When you reflect back to people their lives, it shows them that their lives matter,” she said. One of the program’s more famous pieces, the Peace Wall, depicts hands with different skin colors coming together in harmony. Standing in the Grays Ferry area of Philadelphia, the piece was created in the wake of 1997’s race riots. When Golden had the idea to put a mural in the area, many people told her that she would not be able to get the citizens to talk to each other, much less collaborate on a mural. But eventually, residents warmed up to the idea. People who had never talked to each other before began talking, resulting in the mural’s message of racial coexistence. “They’re talking about economic development, they’re talking about housing, they’re talking about schools. They’re not talking about race,” she said. The Bridge Academy’s Darkness to Light was created largely in the same vein. Many of the students who worked on the mural had little interest in art and started attending the Bridge Academy just so they had a place to see their friends after school. But as the project gained momentum, they found themselves becoming more and more passionate about the piece and what it could mean for the community. 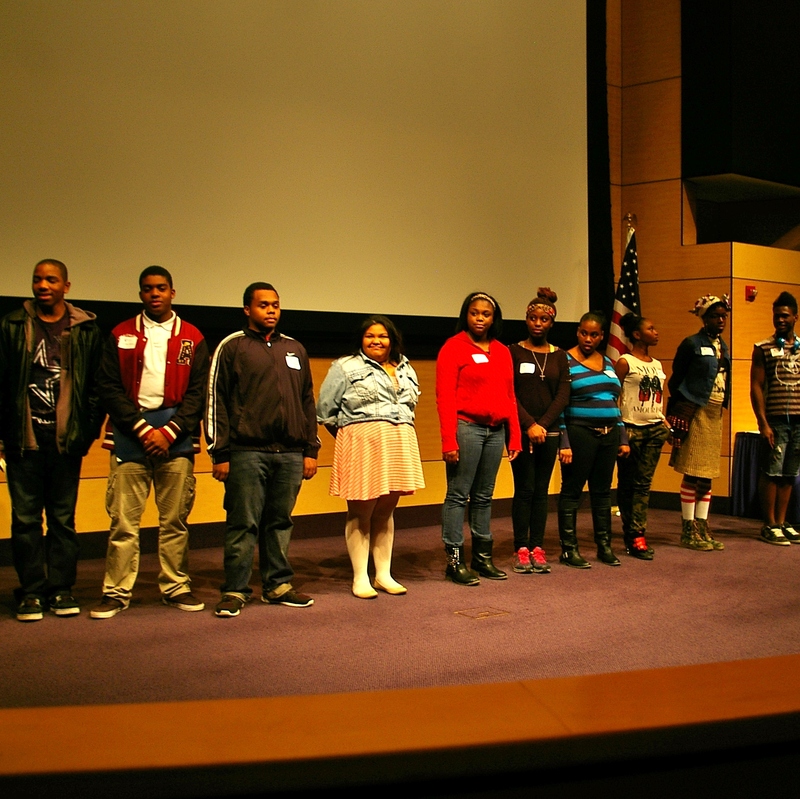 Bridge Academy students receive a standing ovation from the 150 attendees. Like many of the Mural Arts Project’s works, Darkness to Light depicts many parts of Coatesville’s history, both positive and negative; it does not back down from the social issues it wishes to address. The mural references gun violence, the 2009 fires, and the lynching of Zachariah Walker. However, it also shows some of Coatesville’s iconic sites, such as the bridges coming into town, the historic Scott Middle School, and hands from different races coming together in symbols of peace. Much like their Philadelphia counterparts, the students of the Bridge Academy found that creating art brings people together. “It connected them through friendship, and at the end, they could stand up there in a group, and they realized they worked hard for a team,” said Changaris. 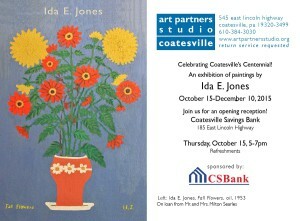 He also said that he would like to the role of art expanded in Coatesville. The Bridge Academy is considering doing another art project, and he would like to see murals downtown. Through their many weeks of collaboration to create the mural, the Bridge Academy artists showed that action and art are not mutually exclusive. They have proven that great art is not just talking but doing. And by presenting a positive image of Coatesville to the world, they have become the positive force that their mural depicts.